Facebook addiction wasn’t much of a thing in the past, mainly because of its small size and the fact that it was only accessible on a regular computer. Those were the days! It’s no wonder that so many people admit to suffering from Facebook addiction and information overload. It’s become a huge part of the real-life culture to simply just be a part of the network. Here are some things you can do to help you break free from your Facebook addiction and spend more time doing the things you want or need to get done. Lots of people have found relief in deactivating their Facebook accounts for a short period of time to help take themselves away from it all and realize what they’re missing by wasting so much time on the site. Some people do it for a week, others do it for a month and some never even go back to restoring their accounts. The benefit of committing to it for a short period of time is that you're giving yourself permission to go back to it if you need to, so it won't feel like you'll be missing out permanently. Aiming to do it for at least a week can help reset your Facebook habits even if you do decide to reactivate your account. Over the years, most people can say that they’ve racked up hundreds of old friends, coworkers, and acquaintances on Facebook. And not to mention public page likes too. Having such a large network of Facebook friends with people you barely know and tons of public pages sharing new updates all the time or can still trigger an overwhelming desire to know what’s going on at all times—even if you haven’t spoken to any of these people in years or lost interest in those pages months ago. A good rule of thumb is to go through your friend list maybe once a year and unfriend anybody you haven’t made contact within more than a year, with the exception of family members and special friends who live across the country or overseas. You can cut down the lost connections on your list this way and avoid getting caught up in the lives of people from your past. As far as liked pages go, ditch the ones you could live without and keep the ones you actually enjoy checking up on or are extremely useful to you. Unfortunately, Facebook doesn't allow you to unlike pages in bulk. Go to Facebook.com/pages > Liked Pages to see a grid of all the pages you've liked so you can work your way through unliking the ones you need to get rid of. Remember that you can also customize your news feed so that you can hide or snooze post updates from certain pages and people without unliking or unfriending them. While you're on cleanup duty, you might as well delete unwanted third-party apps you've installed over the years—if not for distraction than certainly to help protect your privacy. Facebook now allows you to delete apps in bulk, which you can do by navigating to Settings > Apps and Websites and then selecting all the apps you want to delete by clicking on them so that they're checked off. Click Remove when you're done. You could also make use of a time management application or website blocking tool if you have trouble exercising self-control over Facebook all on your own. If you’re not ready for a detox and not willing to delete your 500 friends, you can instead try making a conscious commitment to only checking Facebook and doing all your interacting at just one or two specified times per day, like in the morning, during your lunch break, or before you go to bed. This takes some serious self-control and doesn't work for everybody. But if you're disciplined enough to make a habit out of it, you may come to feel quite satisfied in simply spending 10 or 20 minutes a day interacting on Facebook just once or twice rather than compulsively checking it round the clock. Facebook addiction and social media addiction, in general, is increasingly becoming a topic of discussion in psychology and technology. And it will likely continue to be a relevant problem in modern society as more websites and apps try to compete for our attention. You ultimately have complete power to break your addiction by exercising self-control and addressing the priorities in your life. If you think your problem is serious enough that you can’t get your addiction under control on your own, you may need to seek help from close friends, family or possibly even a mental health professional. 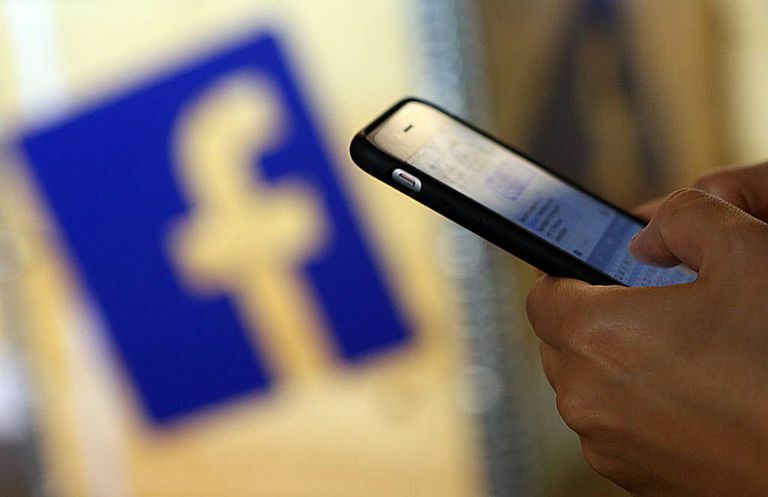 Should You Unplug From Facebook?